This lean, mean, green machine looks like it has just come from a Tokyo drift track with it's striking realistic shell and replica alloy wheels. 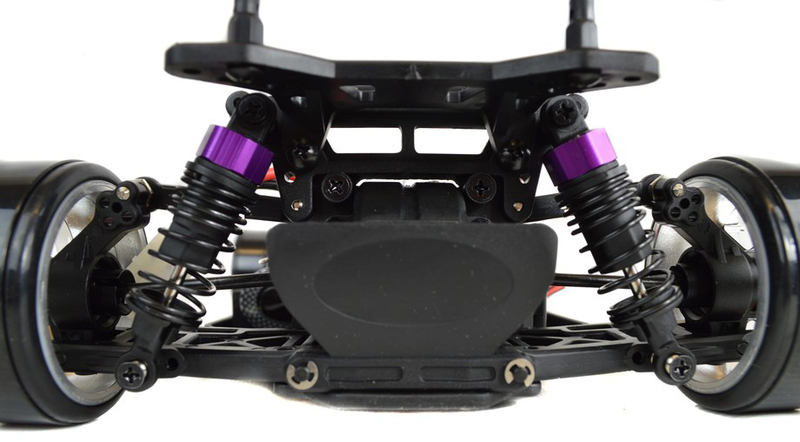 It's built on the tried and tested HSP Flying Fish RC car chassis which offers high speed drifting action and solid performance. Based on our popular and durable on road electric powered RC car, this drift version adds specially designed solid compound drift tyres pre-mounted on high performance wheels. 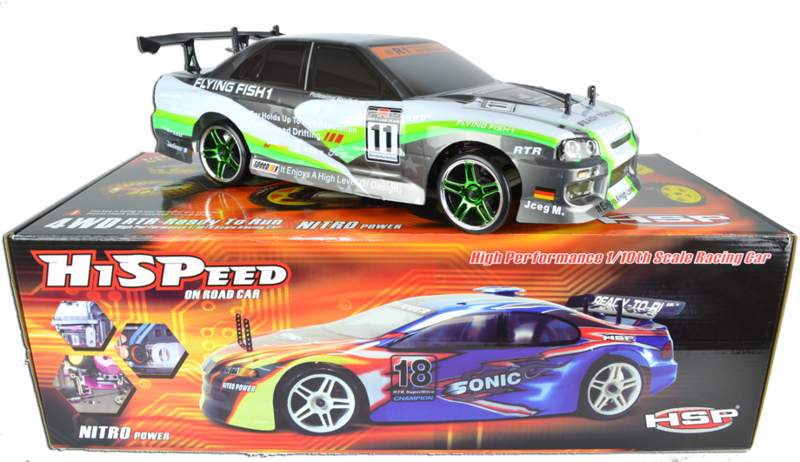 This RTR Radio Controlled Drift car is 4WD for consistent drift action on a wide variety of surfaces, easy to drive, and has all of the features you need to adjust for a perfect drift set-up: camber, toe-in, body level, etc. 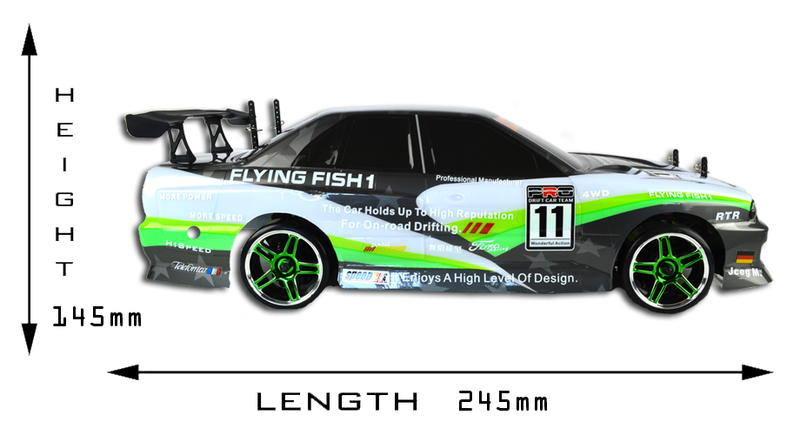 It comes with 2.4Ghz radio equipment so many models can be raced together without interference. 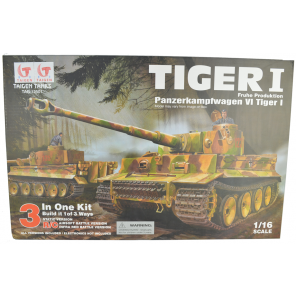 The 1:10 scale model is feature packed. Hi, it comes with everything apart from normal batteries for the transmitter. what are the bits in the box?. Hi, you get the battery, charger, transmitter and instructions. Everything you need to use is included apart from standard AA batteries for the handset.